In this regard, Eidsmoe and Dupré are 100% correct. Look at the heroes of liberal historians and who do you find? Abraham Lincoln, Woodrow Wilson, and Franklin Roosevelt. Not by accident, these same historians will extol the virtues of Hammurabi, Alexander, Julius Caesar, Charlemagne, and Napoleon. All these men have one thing in common: they were responsible for expanding (either by force or fraud) a centralized government. 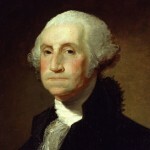 1) George Washington: America’s greatest President, without whom this republic would not exist. His “Farewell Address” is the greatest political speech ever delivered on American soil and should be regarded as “must-reading” for every American citizen. 2) Thomas Jefferson: America’s greatest defender of individual liberty and states’ rights. Interestingly enough, Dupré and Eidsmoe’s hero candidates, William Wallace and Patrick Henry, also grace my list of heroes as posted on my Wikipedia page. One will notice that there are hardly any modern-day heroes mentioned on my list. I also observed that there were no modern-day heroes mentioned by John Eidsmoe and Ben Dupré in their column. Indeed. Where are the real heroes in national public office today? Our national leaders (from both parties) seem to be shortsighted opportunists, possessing little regard for their oaths to the US Constitution, the principles of decency, or even plain, old-fashioned common sense. Both major parties in Washington, D.C., offer the American people varying degrees of socialism. Neither party demonstrates even tacit devotion to constitutional government. Federalism and limited government have all but disappeared under the oversight of both Republican and Democratic leaders. These disastrous Presidents (from Johnson, Nixon, and Carter to Clinton and Bush I & II) calmly leave office with no regret or remorse for the devastation, death, and deception that they inflicted upon the country. They live in the lap of luxury and comfort without the slightest tinge of conscience as to the massive destruction done to our Constitution, not to mention our economy, security, and way of life. Beyond that, our congressmen and senators are mostly miscreants in the similitude of Nancy Pelosi and Lindsey Graham. It’s hard to imagine there was a time when giants once lived among us. It’s hard to recall a day when the word “hero” really meant something. Today, everyone is called a hero. Well, as one Marine Corps veteran recently said, “If everyone is a hero, no one is a hero.” Amen! Perhaps more than anything, America needs great leaders once again. Men who are not enamored with power and wealth. Men who are more concerned with honoring their word and preserving the Constitution than they are being reelected and receiving a government pension. Men who really do respect the people that elected them. Men who are willing to be unpopular, if that is the cost of honesty and integrity. Men who know the difference between the eternal and the temporal. And, yes, men who know the meaning of the word AMERICAN. Is the day of great leaders past? With few exceptions, it would appear so. And that–more than anything else–is why we are in the mess we are in today. So, while you are saying your prayers tonight, don’t forget to ask God to give us some men like Washington and Jefferson. We could sure use them about now. Great article. For those that know the man, have studied his life… George Washington is the greatest leader America has ever produced. All others simply do not measure up. It is a mistake to call our current political representives leaders. (With few exceptions) Some how we as Americans have either changed the definition of leadership or we as Americans will allow anyone to lead us. I think it is a combination of the two. What we are seeing today (Conservative movement by the people)is a realization of the above. Do not let political representives call themselves our leaders. Make them earn it. Take back the meaning of true leadership. Read the below about leadership and then think of any modern day poltician. Who can truly be called a American leader? Leadership is intangible, hard to measure and difficult to describe. Its quality would seem to stem from many factors. But certainly they must include a measure of inherent ability to control and direct, self-confidence based on expert knowledge, initiative, loyalty, pride and sense of responsibility. Inherent ability cannot be instilled, but that which is latent or dormant can be developed. Other ingredients can be acquired. They are not easily learned. But leaders can be and are made.